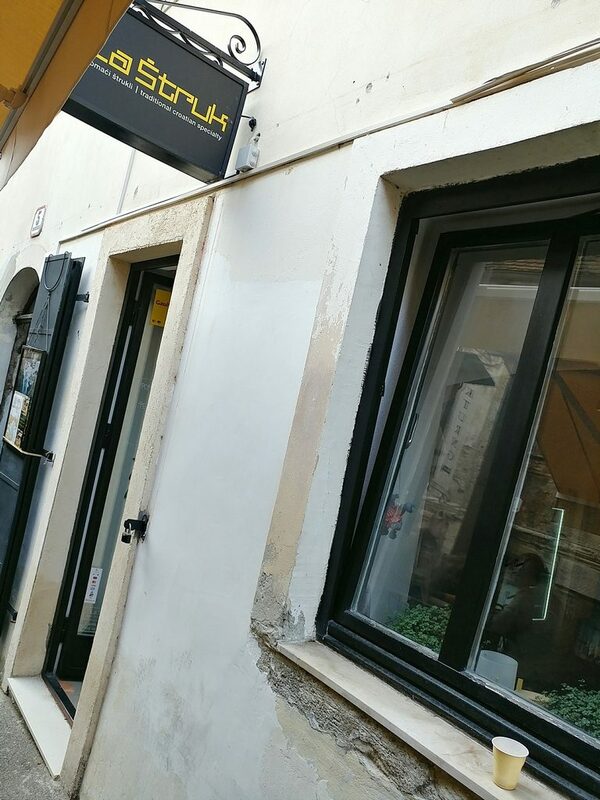 Before our trip to Croatia, we checked for recommended eateries where one could find properly local food. La Struk showed up multiple times on recommendations for Zagreb, so was a must visit when we were in the city. Located in a laneway that also housed a number of other eateries, we did manage to walk past it a couple of times before spotting the signage, partly hidden by the umbrella canopies of the covered seating area in the middle of the street. The low key outside of La Struk. 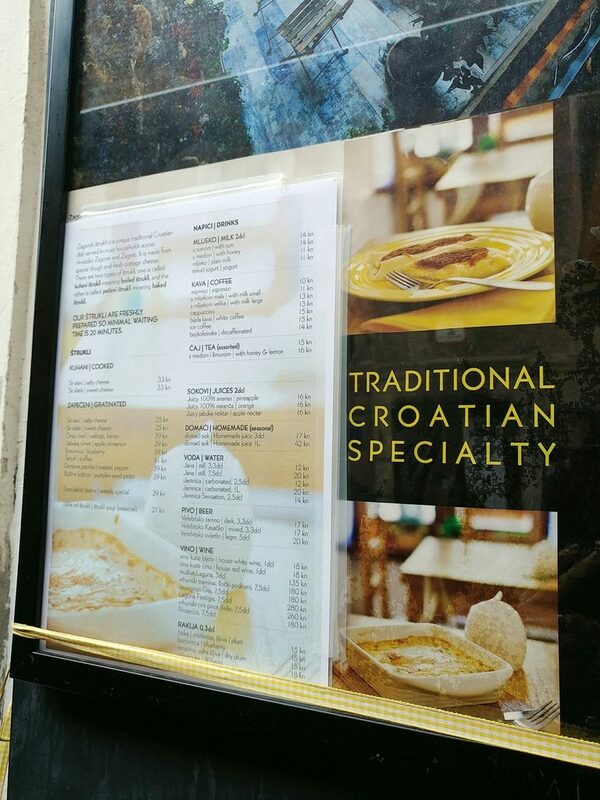 The menu beside the entrance announces that they serve the traditional Croatian speciality of strukli, and explains that because they are freshly prepared, there will be a waiting time of at least 20 minutes for the food. This is a wise warning, as those in a rush should then know better than to go in hoping for a quick meal. The flyer by the entrance. We went through the doors to find a homey interior with light wood floors, and clean white walls, well lit by daylight through the large windows facing the street. 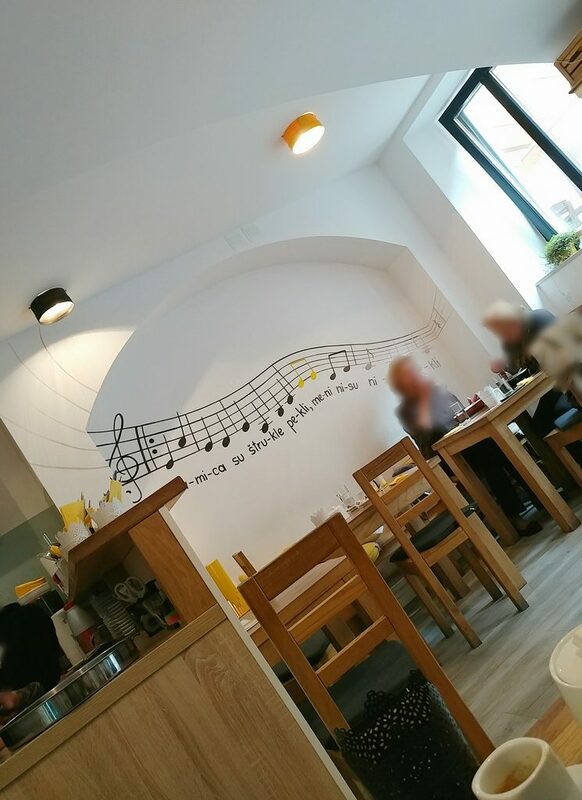 On one of the walls was a simple painting of a musical score of the melody of a song about strukli. You could while away the time waiting for your meal by figuring out how to sing it.. Straight edged blocky wooden tables and chairs gave it a rustic feel, and though they were placed closely, the place felt cosy rather than cramped. There were only about five tables indoors, but there was more seating in a garden area out back. We avoided that though, due to the people smoking there (much more lax laws around smoking there, unfortunately). A view of the cosy interior, and the strukli song. The bits that make their bright colour scheme. La Struk serves only strukli, so if you are looking for a salad or a sandwich, you will have to look somewhere else. 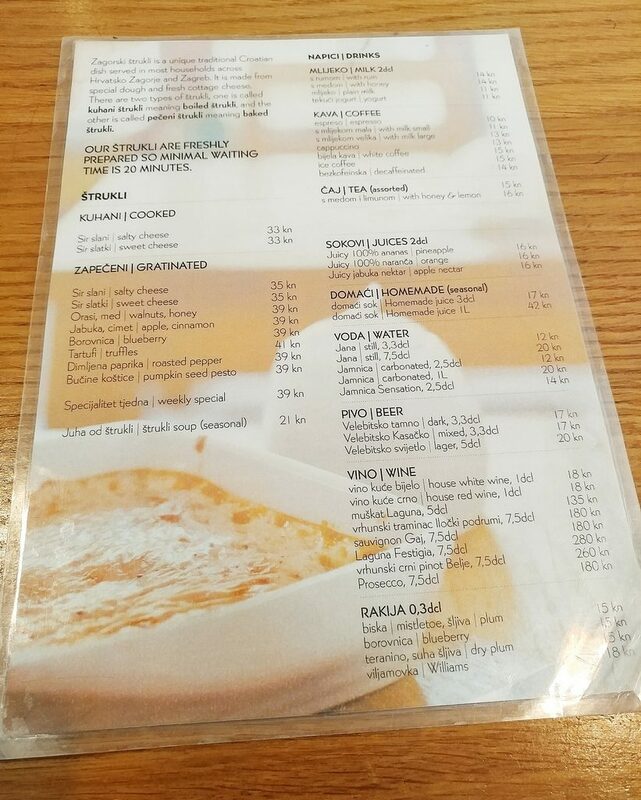 (They did have strukli soup on the menu, but we didn’t attempt it.) 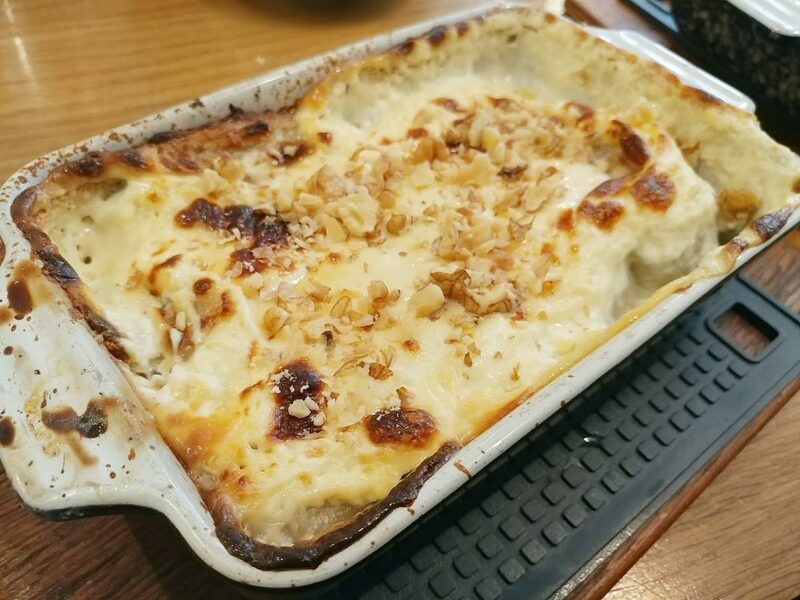 Strukli ls a little like a lasagne, with the alternating layers of filling and pastry. 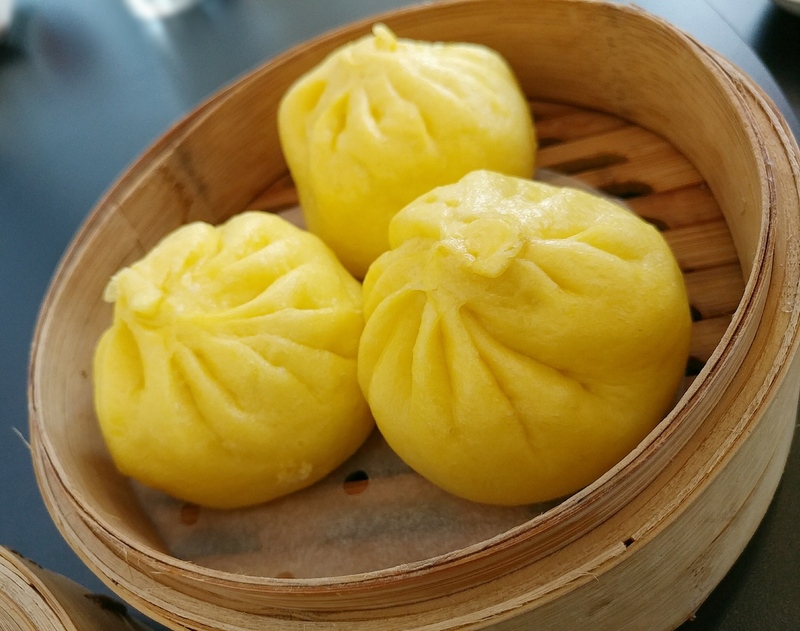 At La Struk, you can have it boiled or baked, and with savoury or sweet fillings. All the strukli with interesting fillings are baked though. We ordered one savoury strukli and one sweet strukli. What’s on the La Struk menu. 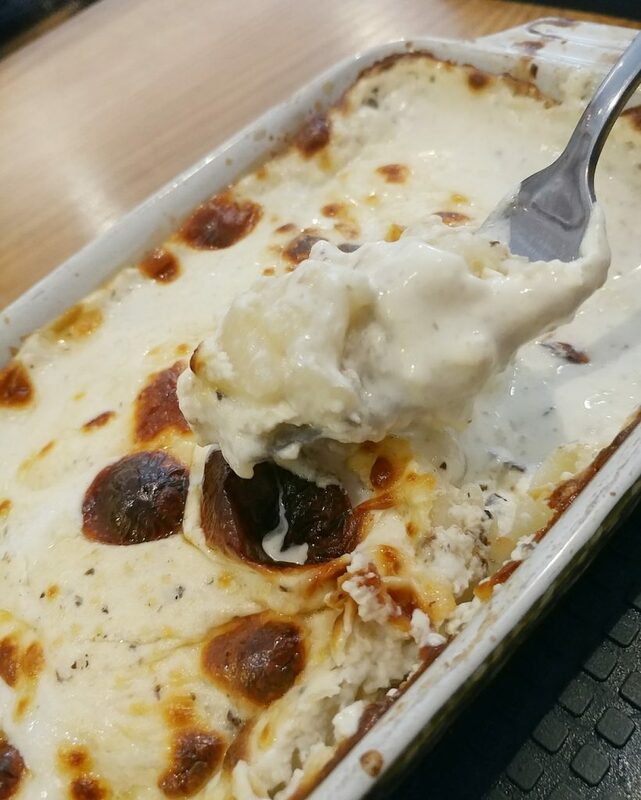 Both strukli were brought to the table in their baking dishes, piping hot, and the cheese still bubbling. A wooden board and a silicone mat protected the wooden table from the hot dishes, and one would be wise to move the board, rather than handle the dishes to move them around. The savoury strukli we ordered was the truffle one, as we were in Croatia in truffle season, and it seemed a waste not to eat all the truffle things we could, given any opportunity. We could certainly smell the truffle as the dish was set on the table. 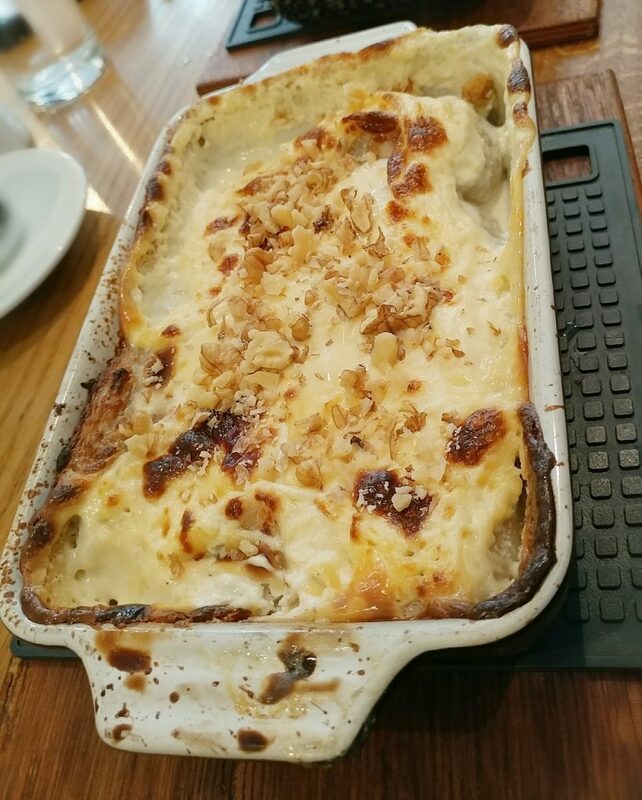 Truffle, hot cheese, and pasta are a match made in heaven, and though it wasn’t quite a pasta dough in the strukli, it was soft and was a similar texture. The cottage cheese mix was nicely seasoned, and it all made for a great comfort food dish, particularly for winter. Be warned, however, it is very easy to burn your mouth on it if you are too impatient. 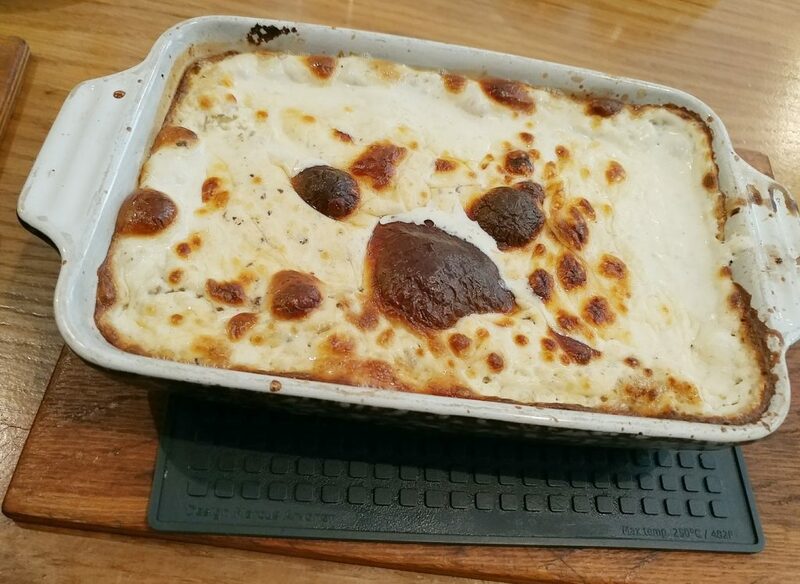 A look at what you find under that melted cheese top. We also ordered a walnut and honey strukli. This one had an interesting sweet and sour tang. It remained hot even after we had made our way through the savoury strukli. Again, the pastry was soft, with a pasta-like consistency. The cheese mix was just mildly sweet, and as mentioned, had tartness from the cottage cheese, so it wasn’t quite a proper dessert sweetness. The walnuts were scattered just on top, rather than mixed through, and though that meant that they didn’t get soggy, we would have liked for there to have been more walnuts. The Walnut and Honey Strukli. Another look at the Walnut and Honey Strukli. The inside looked much the same as the other strukli. 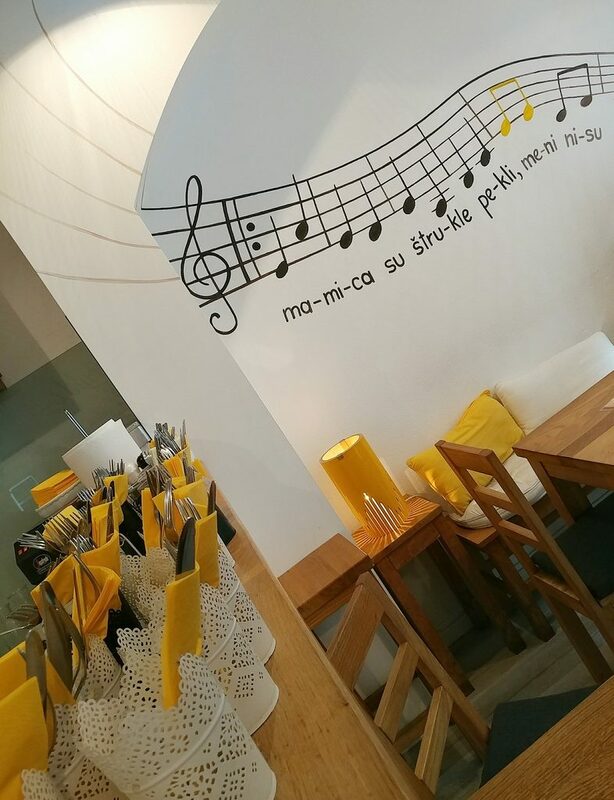 La Struk is a great place to try a dish that is on the list of Croatia’s intangible cultural heritage. It was tasty, filling, and well priced. As long as you have the time to spare, this is worth stopping by while you are in Zagreb. If you would like other pointers (on eateries and otherwise) for a trip through Croatia, we’ve put together some Croatia Travel Tips. Price point: Boiled strukli 33 HRK (about $7 AUD). Baked strukli 35 to 41 HRK (about $7 to $9).